Our goal is to increase charitable assets while preserving capital. We work with donors to select investment options that are appropriate for their grantmaking objectives. Our financial staff is guided by dedicated, seasoned investment professionals who volunteer countless hours as members of our Investment Committee. We consist of two entities: Community Funds, Inc., a New York State not-for-profit corporation, and The New York Community Trust, an unincorporated association of charitable trusts. The two share a board and staff and operate as one. However, their investment vehicles are different. For donors who anticipate substantial payouts in the near term. 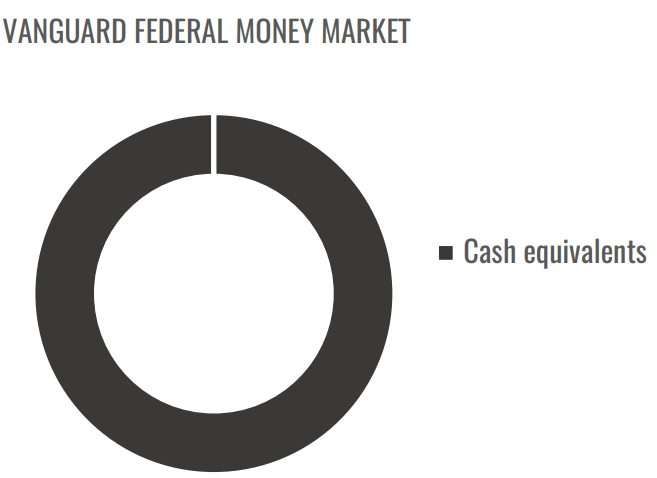 The money market fund may also be combined with other vehicles to create liquidity. For donors who seek a mix of bonds and equities that generates current income. The underlying investment is the Vanguard LifeStrategy Conservative Growth Fund, a fund of fixed income and equity funds. For donors with a longer-term orientation. 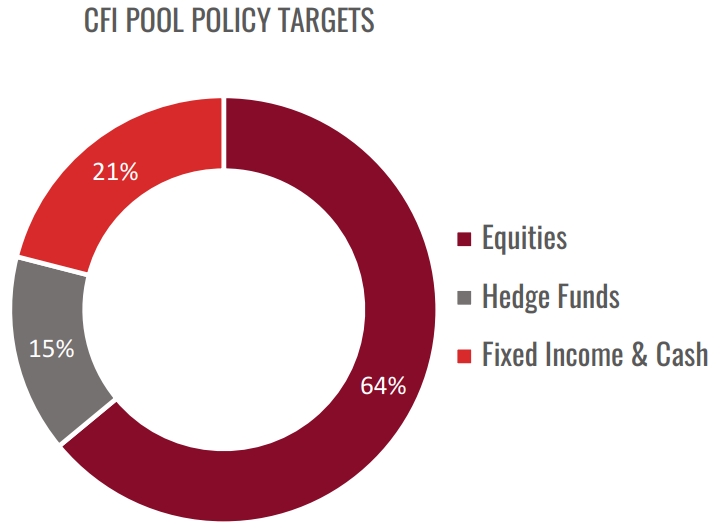 The pool aims to produce a return of approximately 4.5% annually after inflation and fees over the longer term—consistent with a reasonable degree of risk. 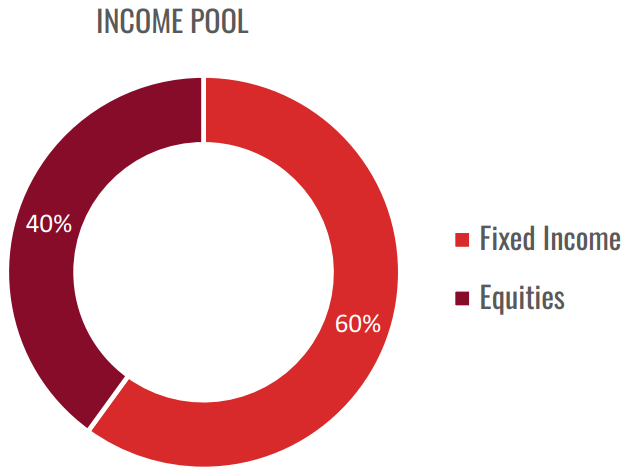 While the pool is diversified across asset classes, it is oriented to equities. Policy target allocations appear in the chart below. Transfers in and out of the pool can be made only on the first business day of each month. To create greater liquidity, donors often combine an investment in the pool with an allocation to the money market fund. The money market balance is automatically replenished each month to a target that the donors select. For donors who seek socially screened investments. 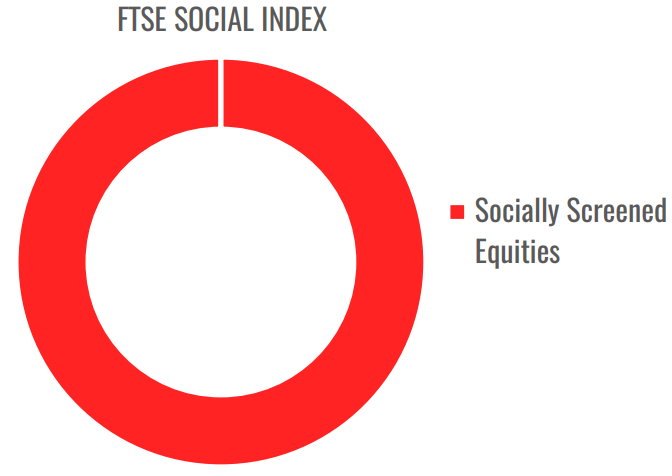 The fund tracks the FTSE4Good U.S. Select Index, a benchmark of large- and mid-capitalization stocks that are screened for social criteria such as workplace issues, environmental issues, product safety, human rights, and corporate responsibility. The index tends to have a growth orientation. Donors may establish funds at any one of the 11 trustee banks that have adopted The Resolution and Declaration of Trust creating The New York Community Trust. Although the trustee bank selected by the donor manages the fund, investment performance and asset allocation are monitored by our staff and reviewed by the Investment Committee. Most of our trustee banks require at least $500,000 in order to establish a charitable trust, and many have minimums of $1 million or more. See a list of trustee banks. Affiliation for identification purposes only. Contact Mary Greenebaum, CIO, or Ken Beitler, Director of Investments.